Are you looking to reward on-the-spot, for your wellness initiative, course completion, for safety, service awards and yearly contests? Also, you need to keep all incentives organized, personalized and easy for both HR data and payroll? 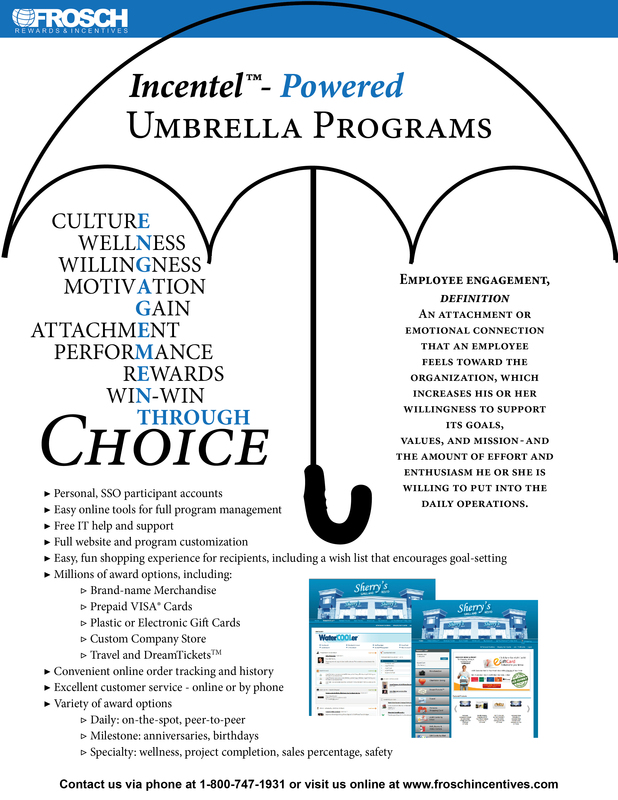 We have a solution - our Incentel™-Powered Umbrella Programs.